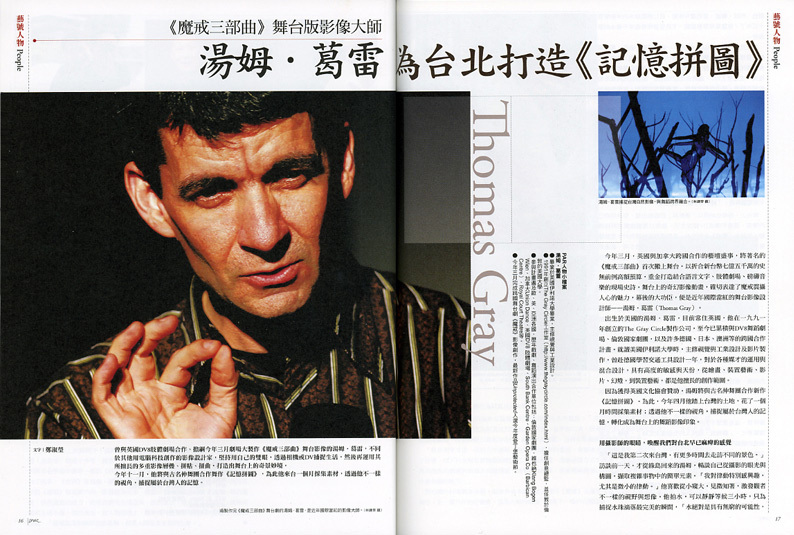 "Thomas' work is characterized by representative and thought-provoking images. "Many people think my work is full of dream-like images. That's unexpected praise. What I do is to simplify everything." Thomas says, "Modern people are much too busy to notice the subtleties in daily life." His exquisite senses endow his works a special quality of softness. Even if the artist never means to create a dream-like illusions, audiences can still have a cognition in that way. A magic chemical reaction happens between the two parties..."